Quantifind's SIGNUM for Restaurants filters and correlates consumer conversation to the KPIs that matter most – restaurant revenue numbers. 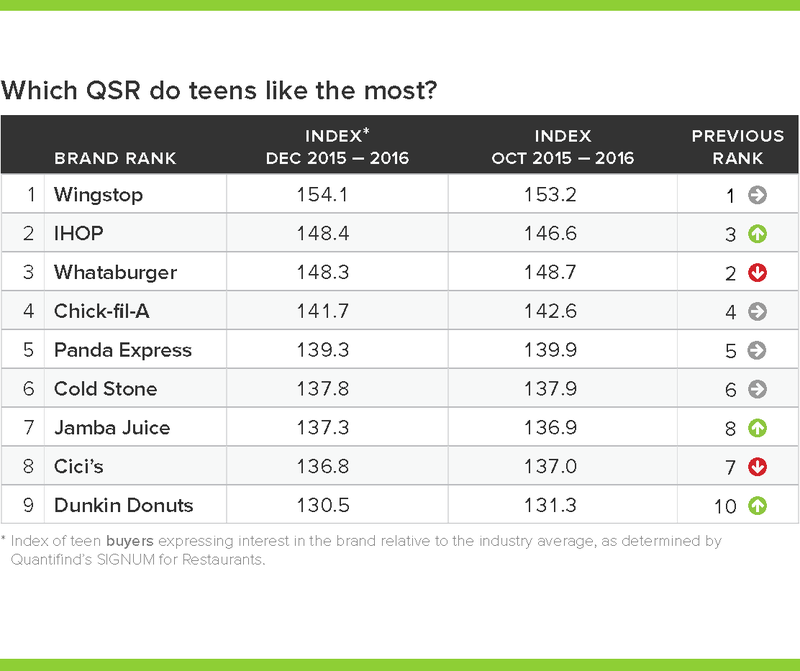 Ever wonder how certain food brands resonate with teen buyers? Check out the benchmarks below. Did your brand make the cut? Curious if your brand made the list at #10?